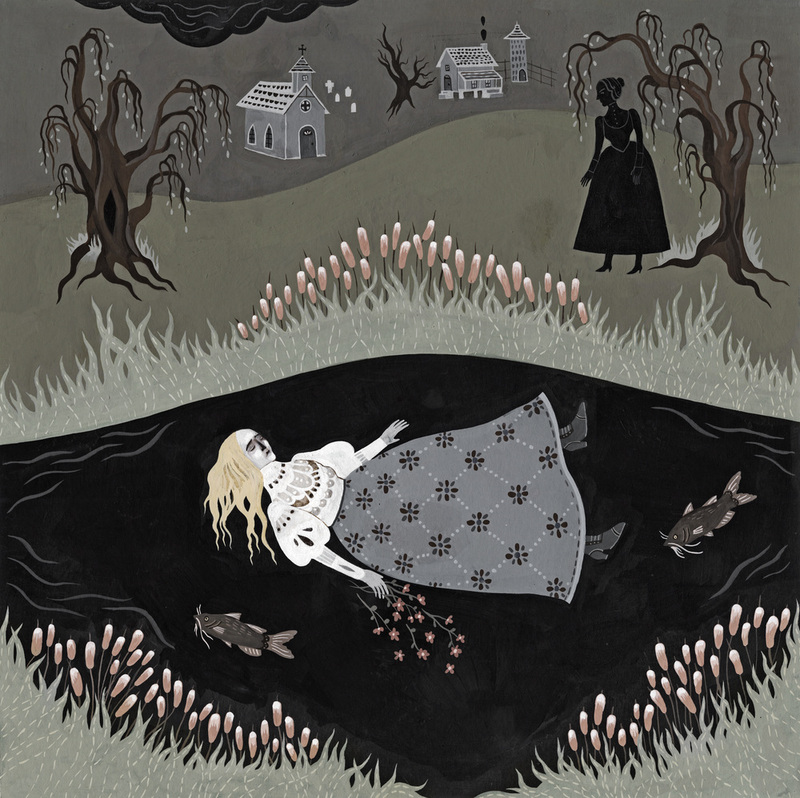 An illustrated collection of Murder Ballads (traditional folk songs that tell the tale of a murder), such as “Wind and Rain”, “The Bloody Gardener”, “Pretty Polly” and “The Cruel Mother”. This is an art book intended for adults who love music, art or both. 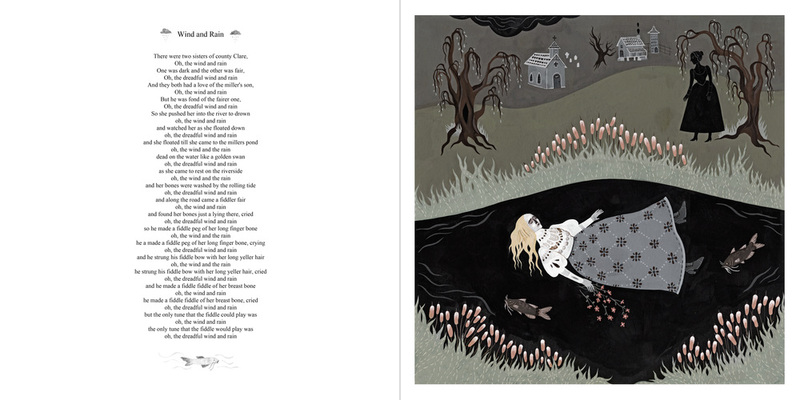 In my vision of the book, the lyrics of each ballad serve as the text and will be accompanied by full color illustrations (see page mock ups below). In addition, the book would come with a record of musicians playing the selected ballads. The record could consist of either a single artists playing the songs or a compilation of multiple artists. The illustrations and book itself would be done in a square album format to fit the record. I want to give people the opportunity to enjoy the visual and audible at the same time. And at length the bloody gardener come in sight. a new dug grave with a spade lying by.